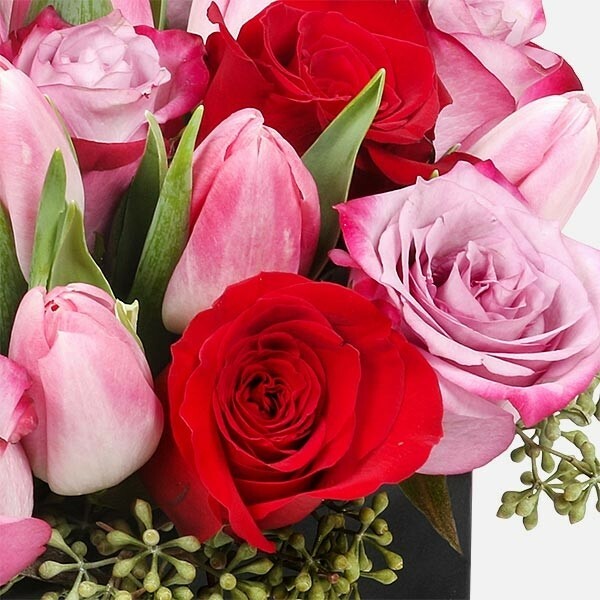 Elegant, simple, and romantic, this stylish arrangement is made of roses and tulips. 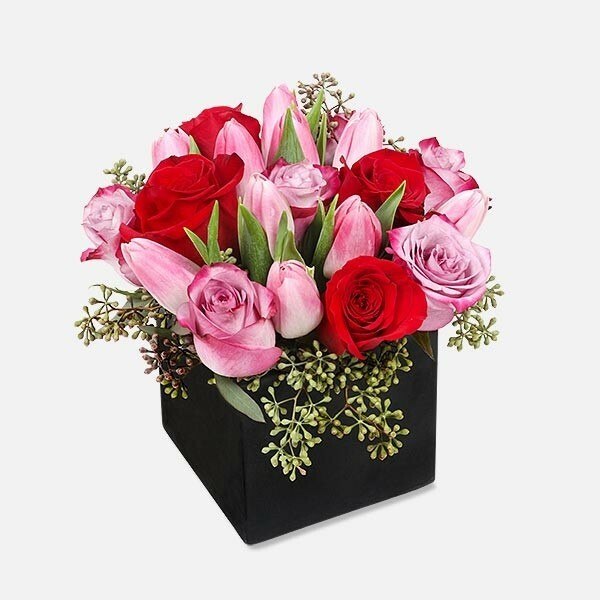 Elegant, simple and romantic, this stylish arrangement is made of roses, tulips and seeded eucalyptus. The colors stand out in a minimal black square ceramic container. 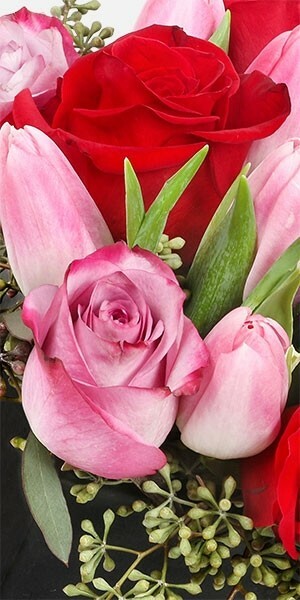 Send flower arrangements anywhere in NYC from plantshed.com, your trusted local Manhattan florist.